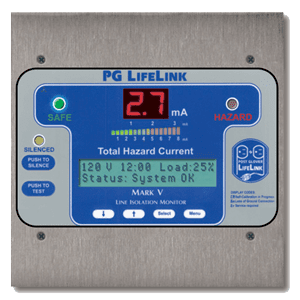 NFPA 99 2015 Edition (6.3.2.6.3.4) and the NEC 2011 Edition (517.160(B)(1)) both require a Remote Annunciator to be “plainly” or "conspicuously” visible inside the area served when a Line Isolation Monitor (LIM) is installed outside the patient/procedure area. 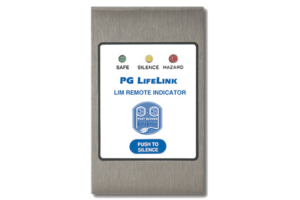 The Remote Annunciator displays the Line Isolation Monitor (LIM) status and notifies if a fault has occurred. 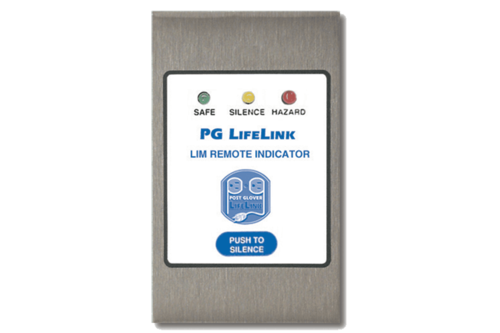 The standard Remote Annunciator (DRA-1) includes illumination of status and alarm only. Full display and duplicate LIM functionality are also available (DRA-VS). 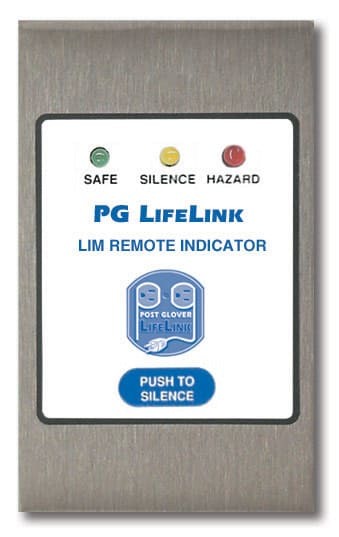 In locations such as the ICU where attending personnel may not be immediately present, it is recommended to install a Remote Annunciator at a designated nearby nurses station. 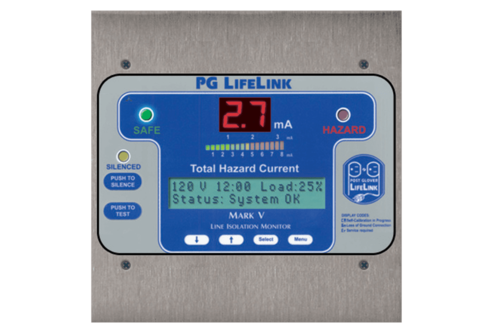 The PG LifeLink Model DRA-1V Remote Annunciator contains similar indication and functionality as found on the front of the Mark V LIM. 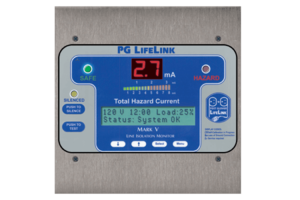 Features include alarm indication as well as real-time THC display, silence and self-test functions. The DRA-1V is an excellent option for upgrading older, analog Square D Isolated Power Panels. 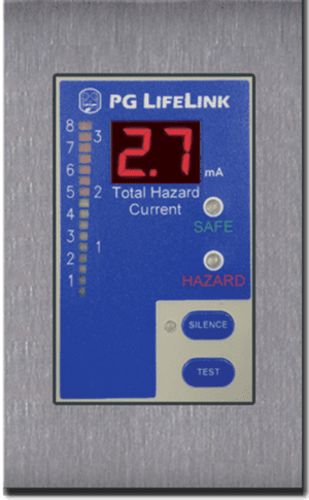 Often the LIM is hidden on these older models and the user must rely on an analog meter at the top right-hand corner of the panel. 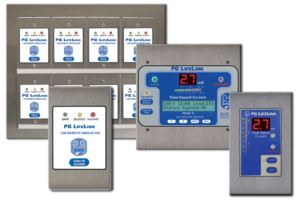 With the DRA-1V, the LIM can be replaced with a digital Mark V LIM and the analog remote can be replaced with the digital DRA-1V Remote Annunciator bringing the entire system up to date. 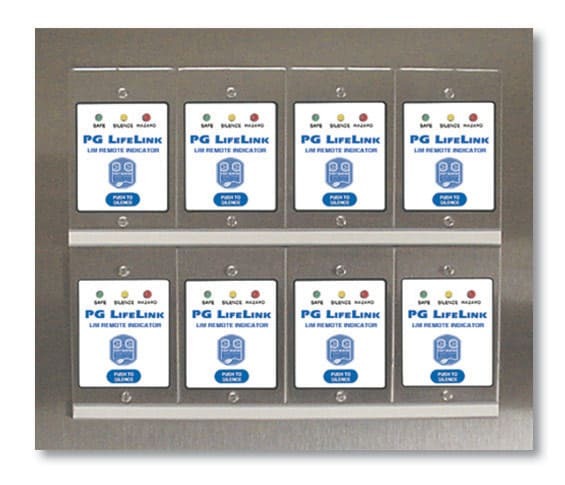 The Model DMRA Master Remote Annunciator panel combines multiple remote units offering the ability to monitor multiple Isolated Power Panels from a central location such as a nurses station or facilities maintenance office. Standard DMRA panels can be built to any combination required. 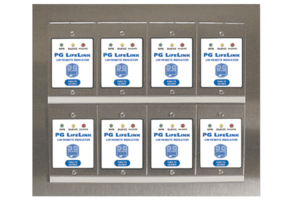 Configurations incorporating the DRA-1, DRA-1S or DRA-VS Remotes are available.